I know I'm an adventurer at heart, but I keep finding myself outfitted for an Urban Safari in my muted greens and khakis. I do tend to favor more natural and stone washed colors but you can't go wrong when every day is an adventure! You just better have the right accessories to ensure you're well equipped. Scarves are an integral part of my wardrobe. I have an obscene number in my closet but they are my trusty tools when jazzing up muted colors. 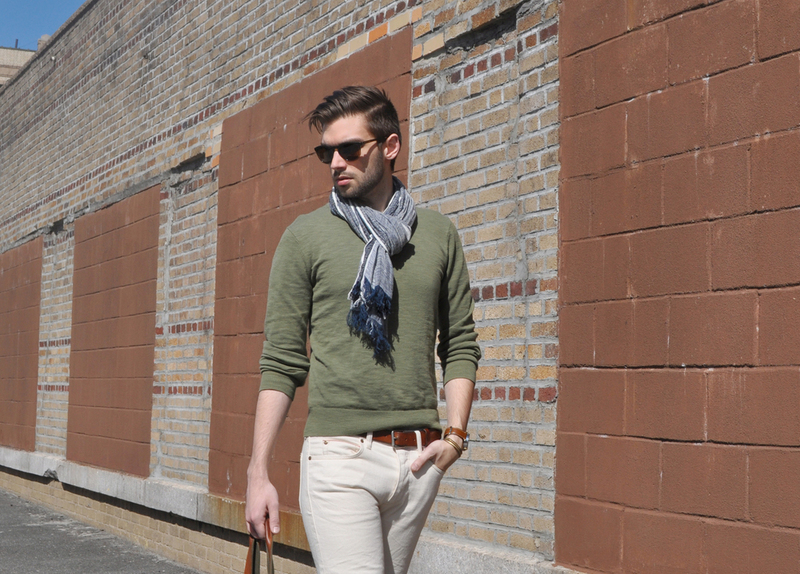 Adding a textured scarf to a monochromatic or muted outfit adds dimension and interest. It frames your face and draws attention up. 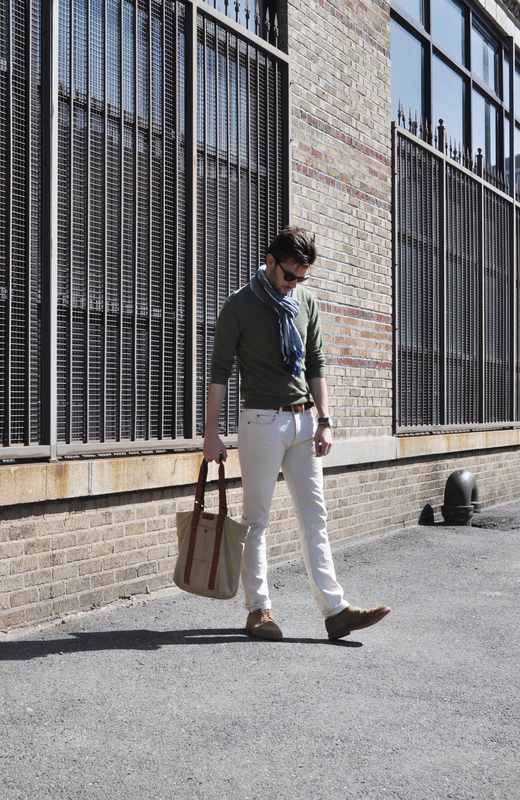 Scarves are not just for winter, a cotton or linen scarf is stylish and lightweight. It protects your neck from the sun and is an alternative to your shirt and tie convention. How about you? What accessories do you use to add excitement to understated outfits?